Since 1983, Lindsay Chiropractor Dr. Philip Croutch has been committed to delivering safe and effective chiropractic care to his patients. 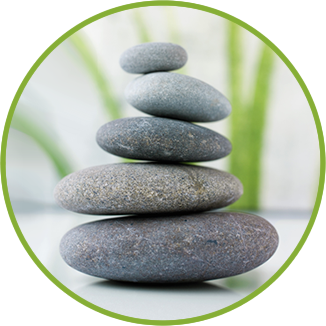 Utilizing a variety of chiropractic techniques, as well as acupuncture, he provides personalized care to help his patients get out of pain and on the path to optimal health and wellness. Whether you want to put an end to the persistent pain that you have lived with for years or simply want to experience greater vitality, we are here to help you achieve your goals and get fantastic results. Dr. Croutch combines the latest research and state-of-the-art technology with more than three decades of clinical experience to get the best results with anyone we see. Just as gears are essential components of a machine, the spine is a critical element of the human body – allowing it to work efficiently. Our practice name denotes a sense of precision and technology. It also reflects our commitment to keeping your spine in alignment for better function, mobility and overall health. We have seen case after case of people who were not getting better through standard health care because so many of the solutions in health care do not address the underlying problem. While traditional approaches to health care often rely on medications, which just treat symptoms, chiropractic care gets to the root of a problem to provide lasting solutions. 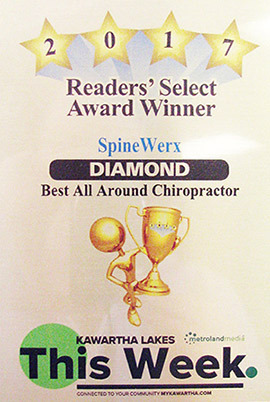 At SpineWerX, we have seen patients enjoy an enhanced quality of life through natural, noninvasive chiropractic care. Because we understand that you are busy, we are pleased to offer same-day appointments. We also are open late and often feature emergency hours as well as on-site X-rays. If you would like to discover more about chiropractic and its many benefits, we offer free consultations to chat with chiropractor Lindsay Dr. Croutch. Start on the path to better health with chiropractic care. Contact us today to schedule an appointment. Great first visit. Happy to meet everyone excellent service and atmosphere. I have to say my first experience was a welcoming and caring one. All of my questions were answered and I felt like they truly understood my situation and could help me. I would definitely recommend Spinewerx! Since being under regular chiropractic care I have noticed increased mobility and improved sleep, and I am able to walk better with much less pain. The doctor is excellent and very easy to understand and the staff is really pleasant to talk with and helpful. Great staff, very friendly and helpful. Entire process explained thoroughly. Walking into the place felt like I had known them all for years. Great experience. My first appointment was very informative and thorough. It was much more that expected with a very unexpected awesome price tag. Looking forward to moving forward with treatment. As a proponent of chiropractic care I encourage and recommend people to try it. They will be surprised by how easy it is, the results they will feel and how much better they will function on a daily basis. I was very happy with the prompt attention I received and with the warm and friendly reception from start to finish.